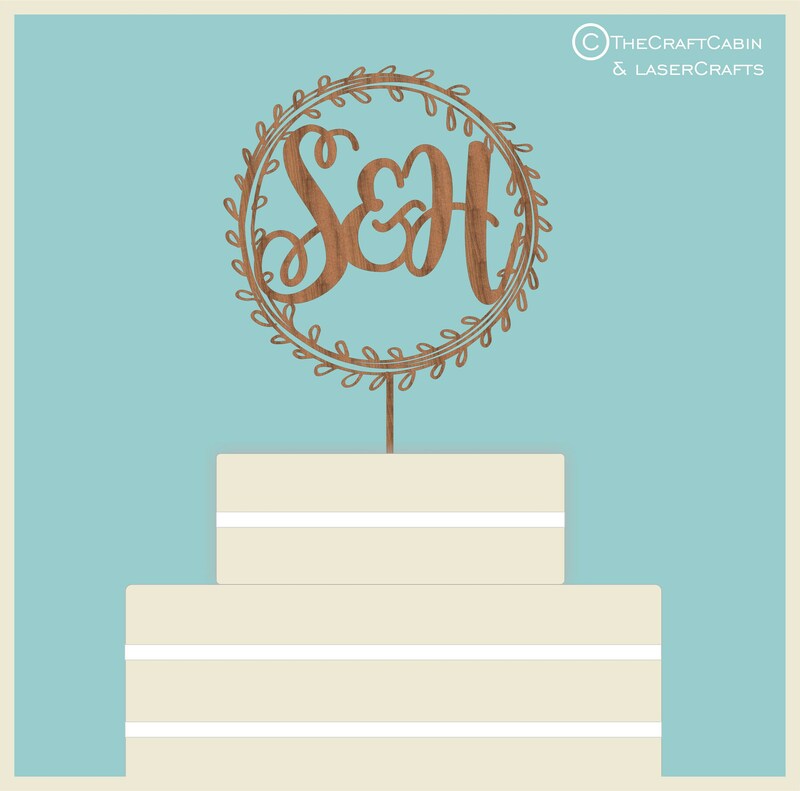 Beautiful, laser cut cake topper. Cut from 3mm high quality hardwood plywood. Suitable for: weddings, anniversaries, birthdays etc. · Approx: dimensions: 14.5cm. Width. 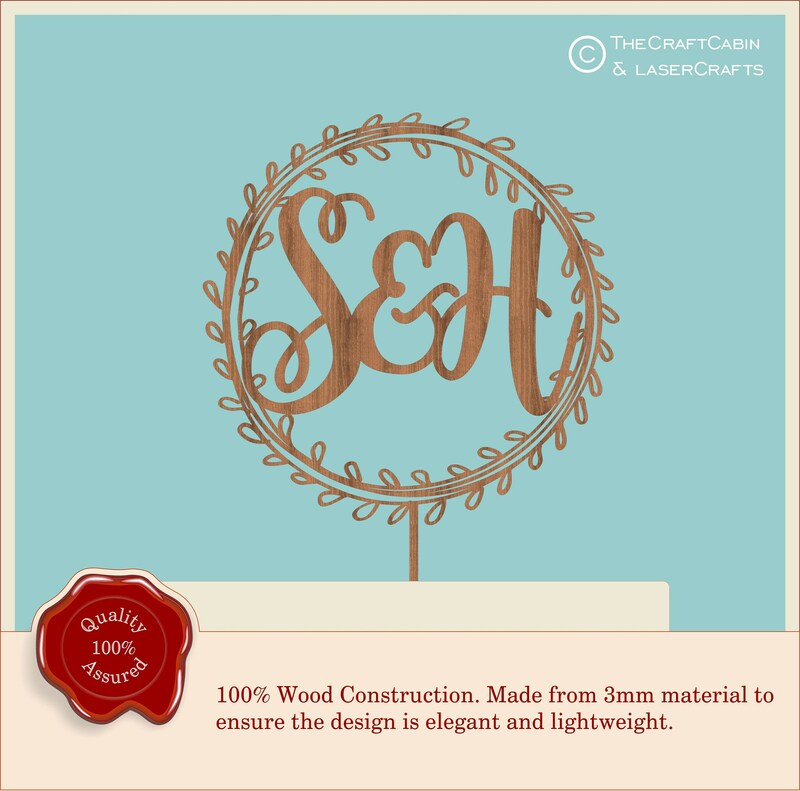 Personalised with two initials. Please allow 5-7 working days for engraving and despatch of goods. Super cute and quick delivery! Looks just like the pic and description.